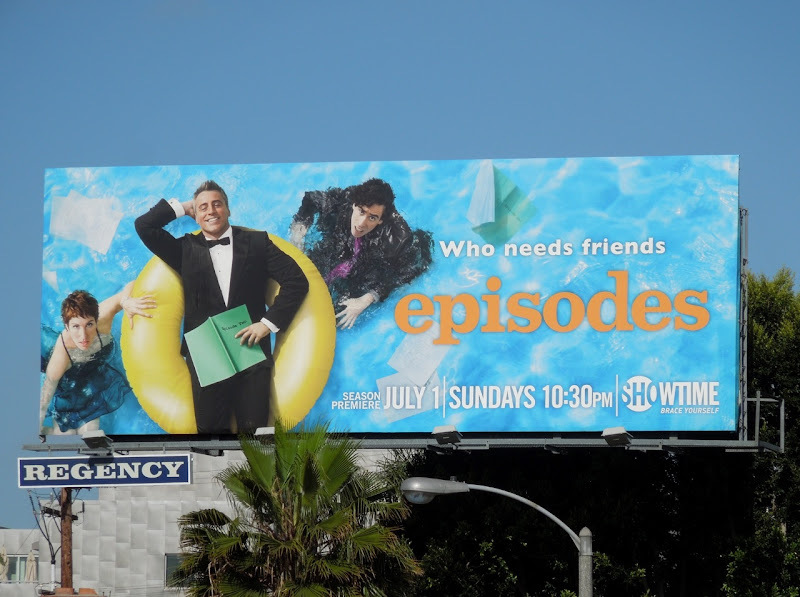 Not only does Matt LeBlanc play a fictional version of himself in Episodes, but he also won a Golden Globe for Best Actor in a Comedy for doing it. 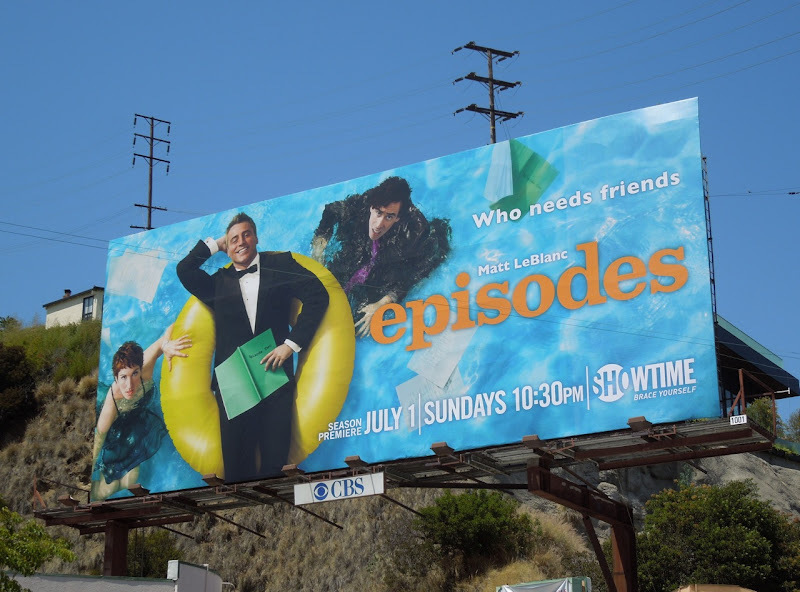 Back for a similarly offbeat second season the show, about a husband and wife writer-producer team who come to Hollywood to develop their British hit series for America, is not afraid to poke fun at Matt LeBlanc's 'Friends' sitcom credentials. 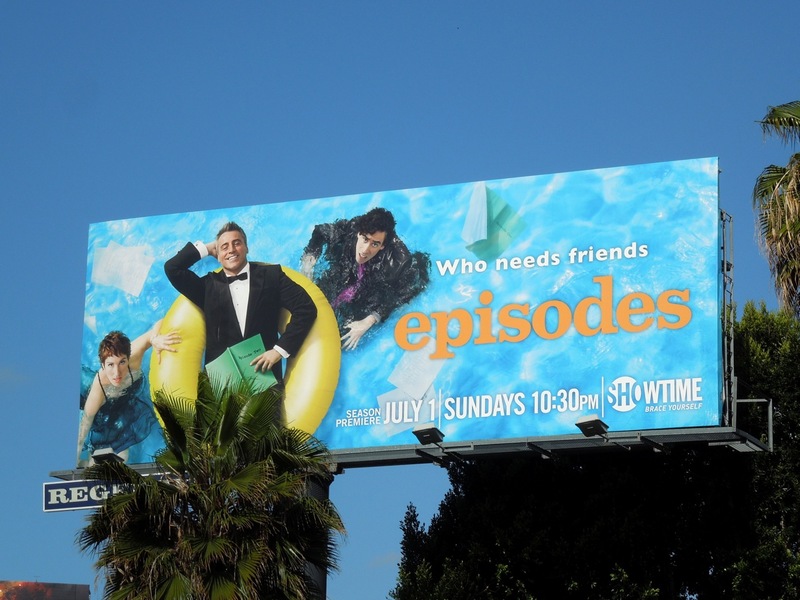 The 'Who needs friends' season two tagline cleverly alludes not only to his TV history, but also his shallow character in the series. 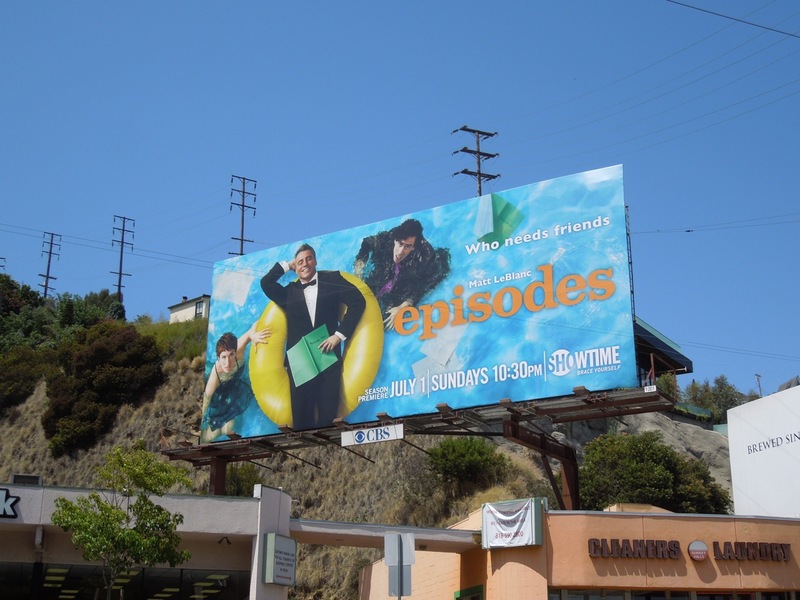 This fun Showtime TV billboard were snapped along Sunset Boulevard in West Hollywood on May 26, with a larger version making a bigger splash at the top of La Cienega Boulevard on June 11, 2012. 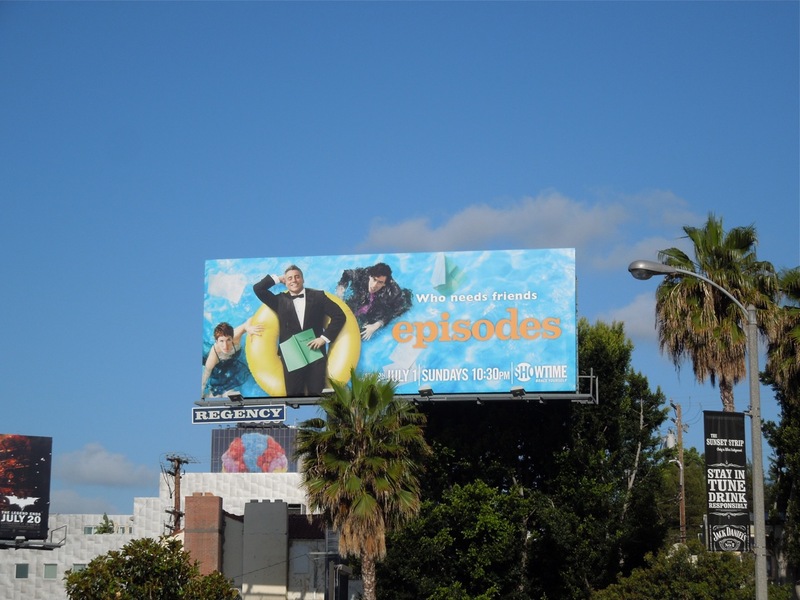 If you're a fan of the comedy, make sure you check out Episodes season one billboard too.